It is clear that online shopping is highly attractive. Buying items online is convenient, fast and allows us to do more with our time than trudging up and down High Streets in the rain. Even so, the vast majority of purchases are made in the real world. The UK is the “e-commerce capital” of Europe with around 18% of all items being bought online. Our nearest online shopping rivals live in Germany, where 15% of goods are purchased through e-commerce. Meanwhile, in Italy, just 3% of buying is done online. Overall, worldwide, the average is that 12% of retailing is online. What is staggering, though, is the growth. The most recent “Black Friday” was 20% up on last year, for instance, and much of that growth was online. Last year in the UK the number of goods sold online grew by 18%. This year it is predicted to have a 27% rise. That would mean that by the end of 2018 around a quarter of all shopping would be done online. For many companies, this is causing a problem. In the world of traditional retail, for instance, it is leading to significant issues for well-established firms, such as Marks & Spencer, or Debenhams. They are losing customers from their bricks and mortar stores who are going online instead. However, as footfall gets lower their rent for physical space continues to rise. That means the cost of servicing customers is rising for traditional firms. Meanwhile, the problems are only just beginning for “pure play” online retailers, who are only on the web. The issue facing them – and every other business that operates online – is the phenomenon of the “expert consumer”. Expert consumers behave differently to the “ordinary” consumer. They know exactly what they want and will not compromise on features or quality. Furthermore, they spend considerably more time choosing what to buy and researching the alternatives. 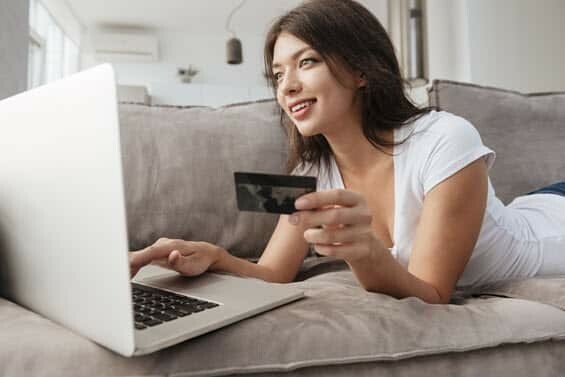 Just as online stores are gaining from the rise in customers, they are about to start losing out through the intensity of competition created by the “expert consumers”. It doesn’t matter if you are not an online retailer. The fact is, as more and more people use the Internet to buy things they move from lower levels of consumer behaviour to the “expert” level. That’s because they have considerably more experience. Think of it this way. Imagine you have a department store in your nearby town. You only pop-in a couple of times a year. As a result, you don’t know precisely what’s on offer. Nor do you understand their “systems” as well as a regular shopper. As an inexperienced shopper in that store, you probably spend a few minutes looking for an item and then popping out again if you cannot find it. However, if you are a regular shopper who goes to that department store every Saturday, for instance, you know the staff by name, you know what has changed in each department, and you know what’s worth buying. But that Saturday shopper spends much more time in the shop; they look around more, spend more time considering the options and will often bargain with the salespeople. It’s the same online. The occasional online shopper doesn’t understand the systems and doesn’t know where else to go for things. So they visit a store, buy something and then leave. However, the experienced shopper knows the systems and understands online buying very well. That means they spend more time looking around and considering things. They know where to get the bargains and will comparison-shop more than the newcomers to online shopping. As more and more people start to buy online, the level of experience and expertise amongst Internet users grows. That means their shopping habits will change. If you sell anything online, you need to get ready for the change in behaviour that is coming your way. Shoppers are going to get much pickier, they are going to spend longer taking the decision to buy, and they are going to seek out the competition more than they have done in the past. If you thought all you had to do was get more people to your website, think again. That’s only the start of your problems. The “experienced consumers” are going to present you with a wide range of issues in the coming years, not least of which is funding longer delays for purchasing decisions and fending off the competition. How much automation should you use in social media? You’re right getting people to your site is not enough to make a sale. They have to like your brand and trust it. With the change is buying habits I believe that we will have to improve our communication with our clients. Not just before the sale but long after, if we want the recuring business that is.